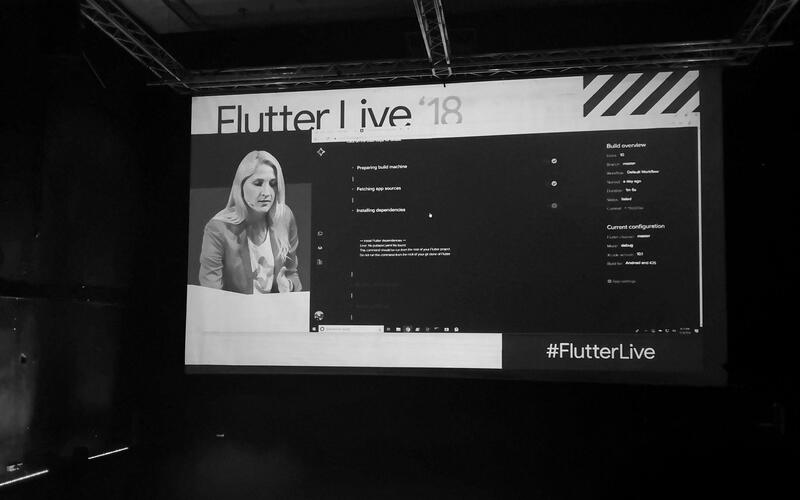 Today at the Flutter Live event held in London, Google announced the release of Flutter 1.0, an open-source mobile SDK for building native Android and iOS applications from a single code base. This tool will significantly save time for developers. At the same event, Estonian startup Nevercode launched its new continuous integration and delivery (CI/CD) tool called Codemagic. Codemagic by Nevercode is the first CI/CD tool created exclusively for building Flutter applications. “Our idea was that without any deep technical knowledge, app creators should be able to easily configure the whole flow from Flutter platform to their end users at Google Play or App Store.” Building on its experience as a CI/CD partner for professional mobile development teams, Nevercode decided to create a completely new tool that would do just that. Codemagic is a cloud-based CI/CD tool for building, testing and publishing Flutter applications. It enables developers to build Flutter applications without any prior configuration and automate the entire release pipeline. Users log in via GitHub and select the repository containing their Flutter application, after which they can immediately start a build with preconfigured defaults. Codemagic is designed both for individual developers and development agencies. For the time being, the tool is available for everyone at no cost, but in the future, it will include paid options in addition to a free plan.